DIN EN ISO 50001:2011 „Energy Management System“. Completion and opening of the new logistic and recycling center. Extension of printing operations, installation of an 10-colour flexographic printing press. DFTA Award for excellent flexographic printing in the category of large packaging. Celebration of the company's 140th anniversary. Integration of the Gröningstraße to the premisis. DIN EN 15593 certification. „Management of hygiene in the production of packaging for foodstuffs“. DIN EN ISO 9001:2008 certification. „Quality Management System“. Extension of printing and packaging operations, installation of an 8-colour flexographic printing press. 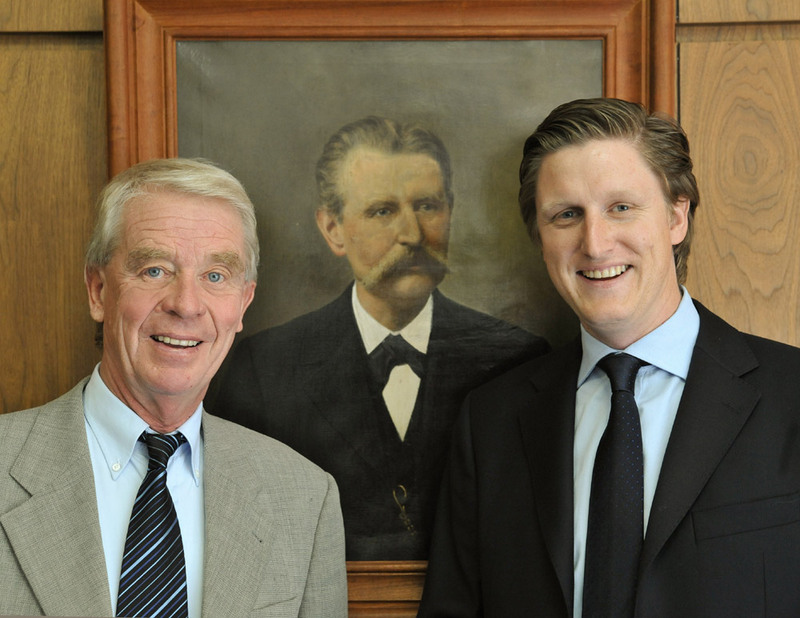 With Matthias Becker-Gröning the fifth Generation joins the company. Extension of our coextrusion sector. DIN EN ISO 9001:2000 certification. 3-day celebration of the company's 125th anniversary. DIN EN ISO 9002 certification. Addition of a 6-colour flexographic printing press to the printing division. Production of the first HD film from Hoechst Hostalen resin. Shift from jute to fibre glass production. Celebration of the company's 100th anniversary. Installation of the first 6-colour flexographic printing press. Kick-off of polyethylene film production with extruder, heat-seal machine, and printing press. This business unit, consisting of film production and surface finishing, has been constantly developed and extended ever since then and represents state-of-the-art technology today, as it has in the past. Gröning is one of the first film manufacturers to produce film from low pressure (high density) polyethylene (HDPE). Production is re-assumed under adverse post-war conditions and constantly extended over the following years. Extension of production by adding a jute spinning mill consisting of boiler room and machine room. Upon completion of a factory building and a mechanised jute weaving plant, manual weaving is abandoned. Wilhelm Gröning establishes a jute and linen trading business in Rheine-Mesum, consisting of manual weaving and calendering.